Peter R. Silverman - Mediator & Arbitrator based in Toledo, Ohio. If you’d like a list of available dates for Peter Silverman, please submit a request below. 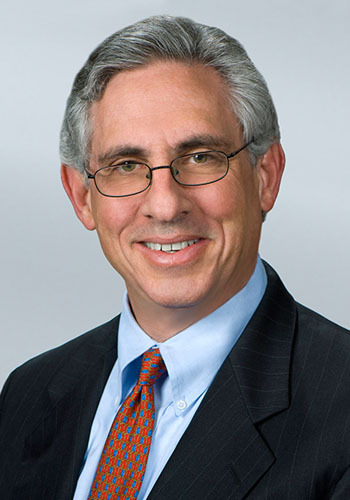 Peter Silverman has extensive experience in the area of commercial litigation and general business counsel. He has substantial experience in a number of specialty areas, including franchising, alternative dispute resolution, intellectual property, securities, and antitrust. Peter has been an active arbitrator since 1986 and mediator since 1990. He is a member of the AAA's Large, Complex Case Arbitration Panel and of the CPR Panel of Distinguished Neutrals. He teaches seminars nationwide and writes widely on alternative dispute resolution. In 2016 and ten prior years, Franchise Times® recognized him as one of the nation's top 100 franchise lawyers. Best Lawyers lists him as one of America's best Arbitration, Commercial Litigation, Franchise Law, Litigation - Intellectual Property, Litigation - Securities, and Mediation lawyers, and Ohio Super Lawyers® and the International Who's Who of Business Lawyers recognize him in franchise law. In 2015, Chambers USA, named Peter a Recognised Practitioner in Franchising (Nationwide). Peter currently serves on the Early Dispute Resolution Committee of the ABA Section of Dispute Resolution. He was chair of the Litigation and Alternative Dispute Resolution Committee and on the Governing Committee of the ABA Forum on Franchising. In 1989, he received the Ernst and Young / Inc. Magazine Entrepreneur of the Year Award for his work in helping business owners start and grow their businesses, and is a member of the University of Toledo and Bowling Green State University Entrepreneurial & Business Excellence Hall Of Fame. In 2014, his business partnership owning the Oasis restaurant chain was also elected to the Entrepreneurial & Business Excellence Hall of Fame. He formerly served on the Toledo City Council, the Toledo School Board, and the Ohio Casino Commission.